Feature film written, produced and directed by John Schwert. 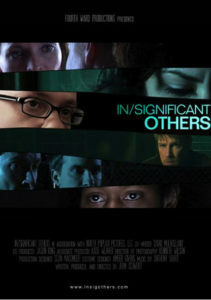 A follow-up to the festival hit Among Brothers, John Schwert’s second feature In/Significant Others is a multi-narrative drama that navigates through the different lives of one city’s residents, each of whom is connected to the same local homicide investigation. 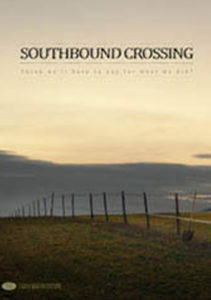 This ensemble cast of characters includes an Iraq War vet returned home to an emotionally disturbed wife, a new father living in the shadow of a successful brother, a sister caught up in a web of addiction, and a cameraman who attempts to exploit the reality behind all of their stories, or at least his version of them. Feature film adapted, produced and directed by John Schwert. On November 9th, 1994, Jennifer Morgan, a senior at Francis Marion University in Florence, SC, was found dead in her burned down apartment – the police told her family that it appeared to be an accident. Two days later, the autopsy revealed that it was no accident. There was no presence of smoke in Jennifer’s lungs – she died before the fire – someone had killed her and tried to cover it up. Jennifer’s brother, Tom Morgan dedicated 10 years of his life to putting the pieces of this unsolved murder together and compiled his true, original story from which the film is based. 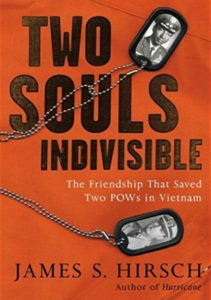 Two Souls Indivisible is the unforgettable true story of two American soldiers shot down during the Vietnam War and the heroic bond they formed sharing a cramped cell in a brutal POW camp. Fred Cherry, the first black officer to be captured by the Vietnamese, was severely wounded after the plane he was piloting crashed in North Vietnam. Porter Halyburton, a young white navy flier born and raised in the segregated South, was thrown in as Fred’s cellmate – their captors hoping the close quarters would inflame American-bred racial tensions and break both men. Instead, a powerful and heroic bond was created between the two that would sustain them through the war and throughout their lives. Two Souls Indivisible tracks the inspiring, heartbreaking and remarkable story of Fred Cherry and Porter Halyburton nursing each other back to health under the agonizing North Vietnamese POW conditions. The story’s narrative balances time between the POW camp, Porter and Fred’s distinctly different upbringings, and their time in the military, all the while keeping the viewer updated with the historical events that were taking place at home. Given the state of our US presence abroad today, this story is never more timely, and shows how good people can achieve greatness in the most gravest of circumstances. A dramatic thriller written by Thomas Torrey. Produced & directed by John Schwert. The covering up of an accidental murder in the countryside forms a unique bond between Oliver, a traveling businessman from the city, and Robbie, a lonely Southern man stuck in his small rural community. As the two men try to bury their secrets, the truth comes to the surface.